Think of the difference between these two questions. Which one will help students be more successful in school (and life)? Which will help them be more creative? The idea of mindsets, introduced by Carol Dweck, says that there are two basic ways to look at our abilities. A fixed mindset suggests our intelligence or other abilities come with us at birth—we are “good at” something, or we are not. In contrast, a growth mindset focuses (not surprisingly) on growth. From that perspective, our abilities change with our effort, goals, and focus. If we aren’t good at something now, we can work on it and get better. According to Dweck, mindsets affect the way all of us approach tasks, the ways we respond to difficulties, and how willing we are to take risks, try a new idea, or push the boundaries. How does all that relate to the questions above? Think about the first question. It asks about a result, a score. 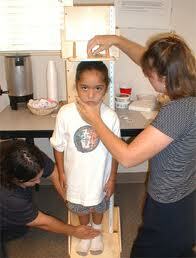 It asks students how they measured up, very likely as compared to other students. Particularly for students with a fixed mindset, it asks how well they demonstrated their abilities in this area. What did they produce? Did they show they were smart? Or not-so-smart? On the other hand, the second question asks students what they learned—how are they progressing, how have they improved? Focusing on learning is a growth mindset orientation. It implies students now know more than they did before and, presumably, soon they’ll know even more. I recently reread Dweck’s book Mindset, and one of the thoughts that nagged at me as I read was the impact our frantic quest for test scores must be having on students’ mindsets. Mindsets are readily influenced by the emphases of parents and teachers. Some of Dweck’s most powerful research demonstrated that students’ mindset could be influenced by a simple comment (see video in my previous post). Students solving easy puzzles who were told, “You got it right, you must be very smart” were much less likely to persist when having difficulties with harder puzzles as compared to students who were told, “You got it right, you must have worked very hard.” Imagine then, the impact of test score results—particularly when the test has been preceded by weeks of practice and hype, in some cases even a pep rally! How could students NOT envision that score as reflecting their core abilities—and potentially, those abilities as fixed? While I do not have the solution to the mindset (and other) standardized testing issues—I wish I did—but I can present a few general suggestions for creating a growth-mindset-inducing classroom. I believe that is the same classroom we need to support creativity. After all, if abilities are fixed and challenge is daunting, who is going to try something new or offer an original suggestion? So, let’s start with some growth-mindset basics. Explicitly teach students that intelligence and other abilities grow. They are strengthened through hard work and focus. 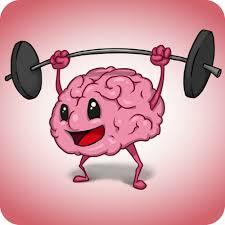 For some stuents it is meaningful to think about the brain as being like a muscle, growing stronger with exercise. If a student really wants to be better at math, he or she can do that. It just takes hard work. Everyone won’t necessarily be the same, but everyone can be better. Praise the process, not the ability. If students do well, point out their effort, focus, organization, original thinking, or other strategies that helped them be successful. Well-meaning comments that suggest students are “smart,” “a good artist” or “a natural at baseball” can lead to problems when challenges arise. If successes were due to intelligence or talent, problems can lead students to believe they have neither. So why try? Help students focus on their learning rather than their scores. Of course we want students to do well on assessments. And yes, students should know whether a project is sloppily done or well presented. But, in the end, learning matters most. Sometimes (especially with younger students), focusing on learning might require digging beyond the obvious and actually asking students what they’ve learned. Even older students may surprise you with the things they learned not tapped by assessments, if you just ask. Helping students focus on—and recognize—their own learning, is an essential step toward a growth mindset. Finally, check yourself. What is your mindset? Do you believe your abilities are set? What about your students? Do you believe some students can learn and some just can’t? Is what you believe in your core the same as what you tell students? This is important. I’ve taught enough years to know students are different. They DO come to us with different experiences and, yes, different abilities. That is true of all human beings. But all human beings can learn and can improve—and many of them far beyond what we might envision. But it starts with our seeing potential for growth. PS You might want to check out this library of videos about mindsets. You never know what might prove useful.